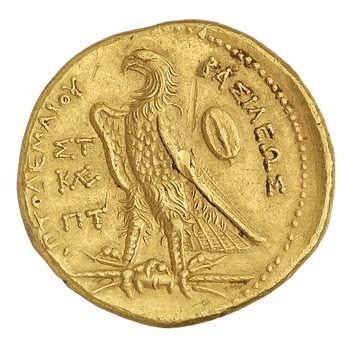 The National Endowment for the Humanities (NEH) has awarded the American Numismatic Society (ANS) a substantial grant of $262,000 to fund the web-based Hellenistic Royal Coinages (HRC) project. Under the direction of Curator Dr. Peter van Alfen and Director of Data Science Ethan Gruber, this three year project (Phase 1, planned for 2017­ - 2020) promises to radically transform the ability of students, scholars, and collectors to identify and research Hellenistic royal coinages, and to incorporate this numismatic material into broad analyses of political, economic, and social history. The funds from this grant will be used solely to hire assistants to aid in the extensive photography, cataloguing, and typology work that lies at the heart of the project. 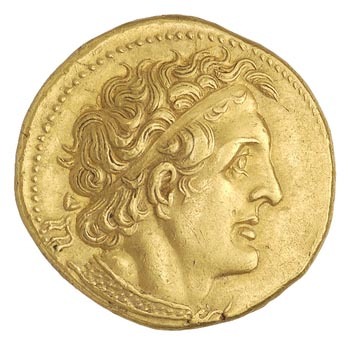 Hellenistic royal coinages were produced by a number of competing dynastic kingdoms founded in the eastern Mediterranean and the Near East following Alexander the Great’s death in Babylon in June 323 BCE. By the time he died, coins had already become a preferred monetary medium, but their use was mostly limited to the Greek world. This was to change dramatically following his conquest of the Persian Empire. A sudden and massive surge in coin production began using the thousands of tons of captured Persian gold and silver in areas of the Near East that had previously not used coinage, first under Alexander himself and later under his successors. This flood of new coinage and monetary metal had significant repercussions, not just in the East, but in the Greek homelands as well, where many city­states stopped producing their own coins or began to produce imitations of Alexander’s. After Alexander’s death, his successors, including Seleucus, Ptolemy, and Antigonus began to carve out their individual kingdoms and soon initiated a new royal class of coinage unlike any type of coinage issued before. Taking cues from Alexander’s coinage, their royal coinages were distinctive in a number of ways, not least for the ruler portraits that appeared on coins for the first time in history. Today, these coins bear some of the most distinctive images to survive from the ancient world, and form a standard part of many museum collections. With its focus on these remarkable royal coinages, the HRC portal will be built around seven interlinked web-based components, employing the principles of Linked Open Data, already successfully deployed in a number of other ANS projects (including the NEH ­funded Online Coins of the Roman Empire; http://numismatics.org/ocre/). These include three stand­alone online tools each of which is devoted to the coinage of a single royal dynasty. Incorporated within these three tools will be a monogram and symbols repository. Two additional stand­alone tools. The notebooks of E.T. Newell, the leading US scholar on these coinages, will provide full documentation of available hoard evidence and provenance information for many individual coins. While all of the stand­alone tools will be interlinked, they will also be united through the portal site Hellenistic Royal Coinages, which will serve as a union catalogue for global searches and as a platform for later expansion, and will later focus on adding the coinages of the remaining Hellenistic dynasties (Phase 2, post­-2020).